In today’s digital world, most of us rely heavily on apps. From managing our time and checking our social media accounts to catching up on the latest news and even switching our lights and heating on and off, apps really are life savers! Apps are more accessible than ever, and are available on a vast range of devices, such as phones, tablets and smart watches. Unbeknown to many, student life can be made even more manageable with the use of apps. 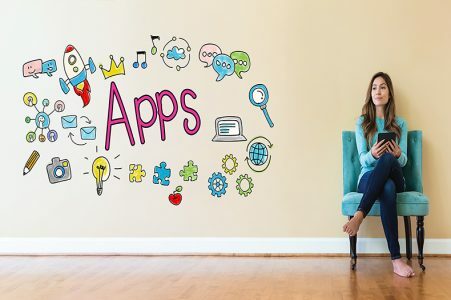 Here we take a look at the best apps for university students, apps that will help you organise your revision, take notes in lectures, delve deeper into your degree and help you live a happier, healthier and more fulfilling student life as a whole. Gone are the days of copying files over to a USB stick, now it’s all about the cloud. There are a number of cloud storage apps available via Google Play, Windows Store and iTunes, including Google Drive, Microsoft OneDrive, Box and Dropbox. If you’d like to manage and edit your documents, then OfficeSuite, Google Drive Suite and Pages provide the ultimate convenience. The challenges of managing study time are encountered by all students, but with apps like Todoist, Google Calendar, Pomodoro Keeper, ClearFocus, Tomatime and TSR you can manage your diary to perfection. The TSR app, designed and developed by the UK’s biggest student community The Student Room, goes one step further providing a platform for chatting with friends and other students, sharpening your skills, and getting the advice and support you need on a wide selection of topics. Your health and well-being is important, particularly during those university years. Those in peak condition generally perform better than those who take a laxer approach to keeping active and healthy. Apps like MyFitnessPal, Yummly, Change 4 Life, Google Fit and Runtastic provide all you need to manage your eating and fitness habits on the go. Note taking applications are brilliant, and can be used to jot down notes and thoughts across a variety of tasks. Most note taking apps can be synced with other devices for easy access and management across all platforms. Google Keep, Evernote, OneNote, and Notability are excellent investments for those serious about note taking. The Bamboo Paper app also gives you the tools to draw your ideas, perfect for creative students. Moving away from home and living with fellow students of course comes with a number of challenges, one of the most pressing being budgeting and bill management. Apps Circle Pay, Acasa and Barclays Pingit ensure quick and easy money management and transfers on the go, perfect if you need to pay your portion of the bills speedily.